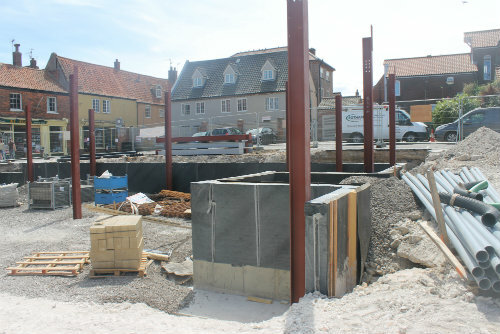 Works continue apace to extend and convert the existing flint and brick maltings buildings at Staithe Street, Wells. Construction of The Chaplin Farrant design, by RobSon Construction, is proceeding well, with steel framework currently being erected for the extension. Repairs to the original roof and walls have assisted in stabilising the historic elements of the maltings, in readiness for its new use as a heritage, community and arts centre. For further background information please visit the Eastern Daily Press.